Dimensions 308' by 27' by 13'8"
Tambor and possibly some others replaced the 3" gun with a 5"/51 gun in 1943. The Tambors were completed in 1940-1941 and were essentially improved Sargos. 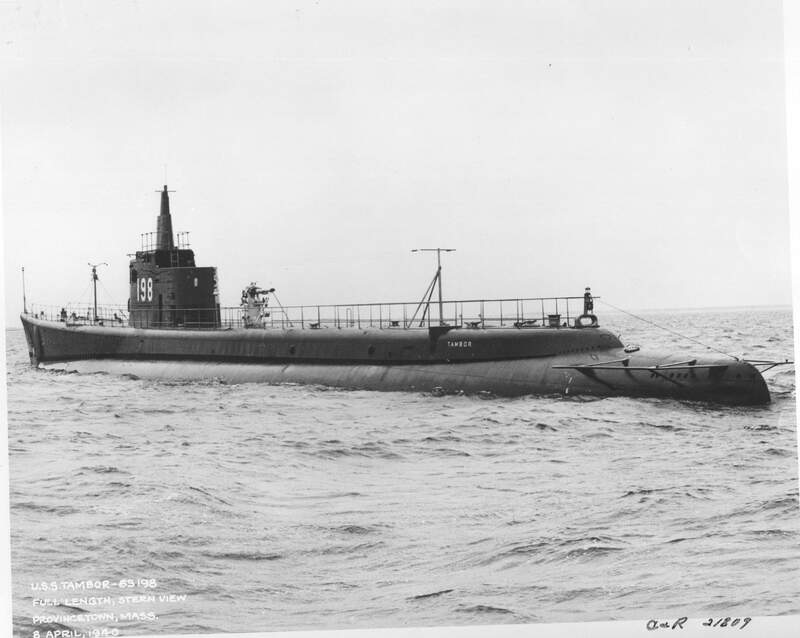 They established the configuration (six forward torpedo tubes, four rear torpedo tubes, and a total of 24 torpedoes) that characterized all American submarines built during the war. 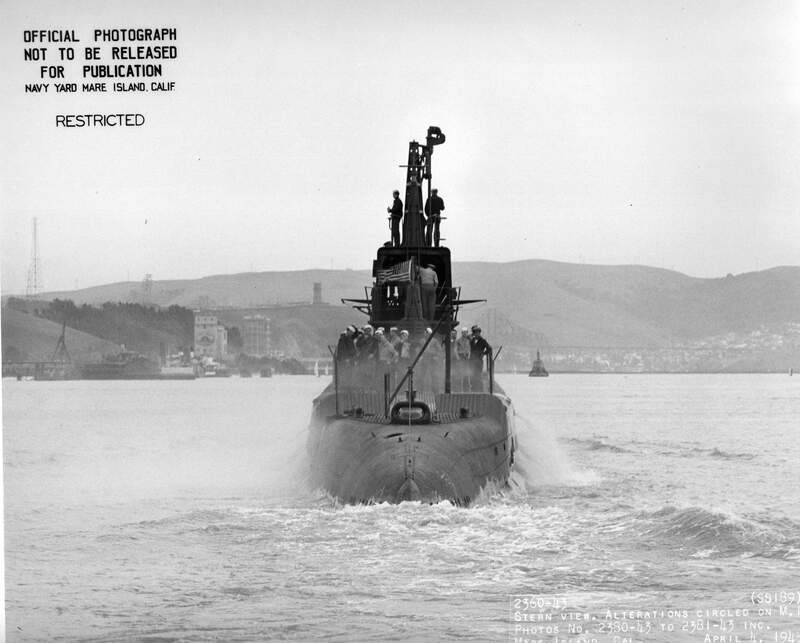 They were the first American submarines designed in light of early experience with the torpedo data computer, and this was placed in the conning tower where the commander could quickly refer to it while at the periscope. The sonar operators were also moved into the conning tower where they could feed data directly to the TDC operator and the commander. This required an enlarged conning tower. The Tambors were the first submarines equipped with "pencil" periscopes, whose upper portion was just 2.5" (6.35 cm) in diameter to make it less visible. There was considerable discussion during the preliminary design phase of the gun armament. 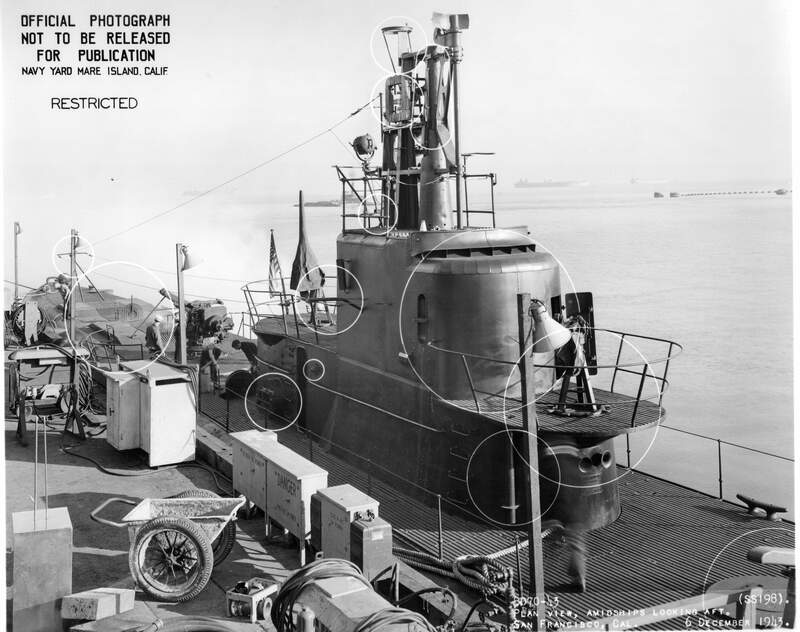 The Submarine Officers Conference split into small-gun and large-gun camps, the former favoring a 3" dual-purpose gun and the latter an 5" dual-purpose gun. 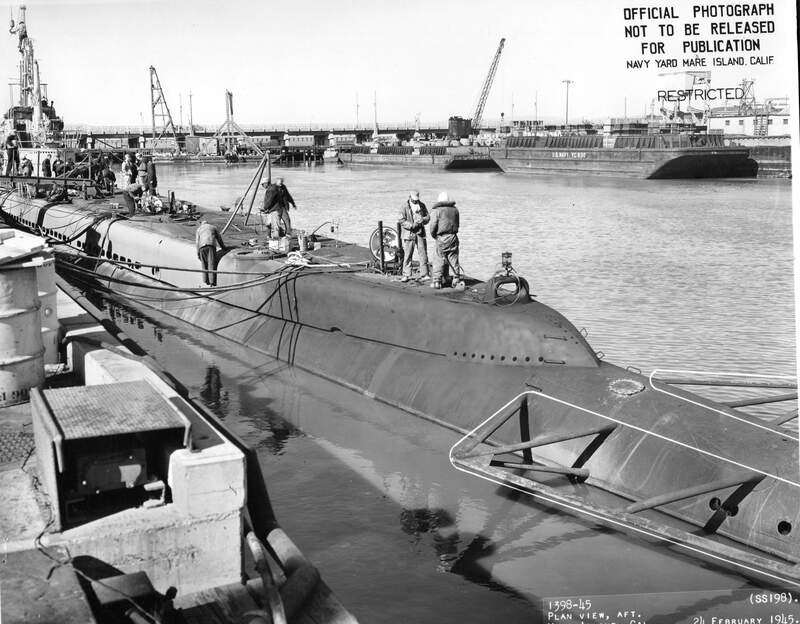 Hart was strongly opposed to the more powerful weapon, believing it would only encourage foolhardy surface actions by submarine commanders, while Lockwood strongly favored the more powerful weapon. The compromise that was reached was to install a 3" gun, but to make the gun foundation heavy enough to support a 5" gun if the need arose to rearm the boats. This took place partway through the Pacific War. 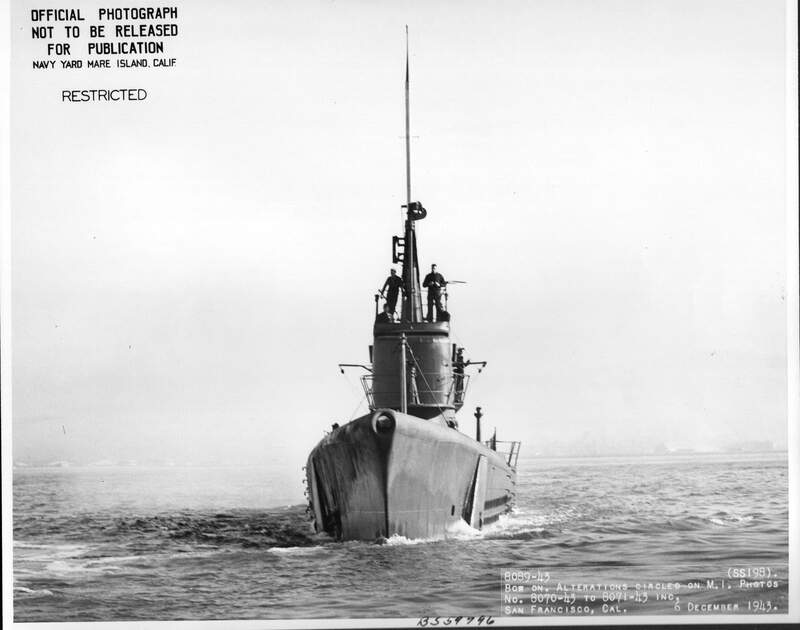 The Tambors also included a negative tank, intended to reduce dive times. This was kept full when surfaced, adding to diving momentum when the main tanks were flooded. The negative tank was blown dry once the submarine was underwater to restore neutral buoyancy. Such a tank (then called the "down express") was used in the S-48 class but had not been a part of designs since. The one real weakness of the boats was the single large engine room, which reduced survivability. 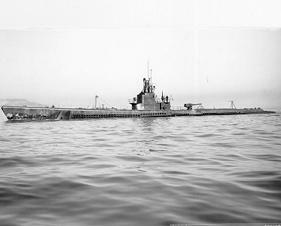 No other American submarine class suffered as high losses in proportion to its numbers in the Pacific. Seven of the twelve Tambors were lost, all but two with all hands.